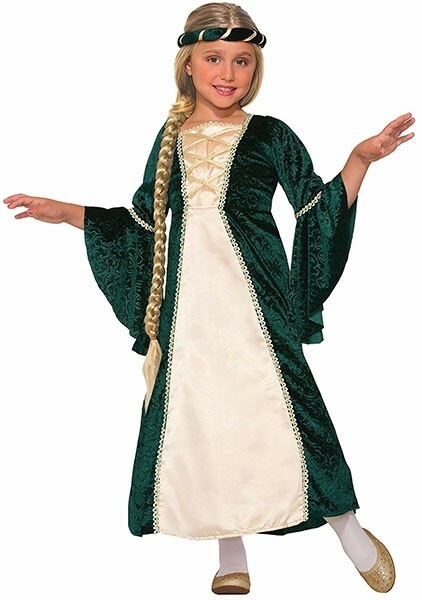 Become a princess from centuries ago with the Lady Of Sherwood Costume. 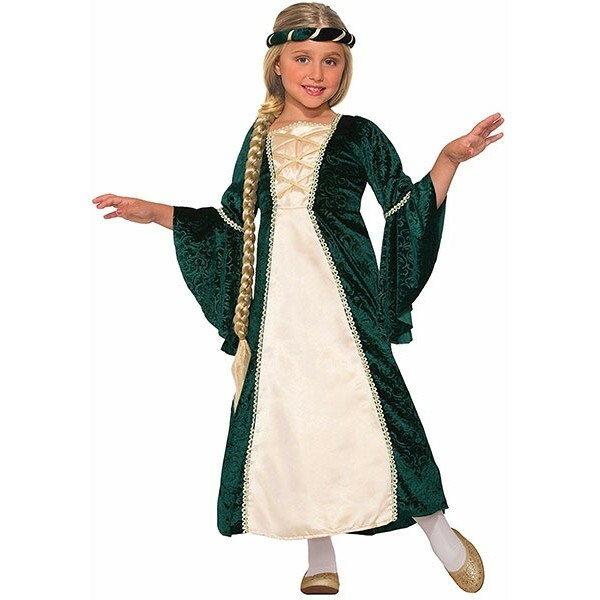 This dark green and beige Renaissance style dress with bell sleeves and matching headpiece is perfect for school plays, dress-up fun, or Halloween. She'll feel ready to rule the kingdom in no time!